"In this book there are not only clear guidelines, but a multitude of strategies and insights gained from a lifetime of teaching and research." Teaching students for whom English is not their first language is a huge challenge for any educator. It is frustrating and demoralising for teachers and their students if the language barrier prevents learning and progress in the classroom. 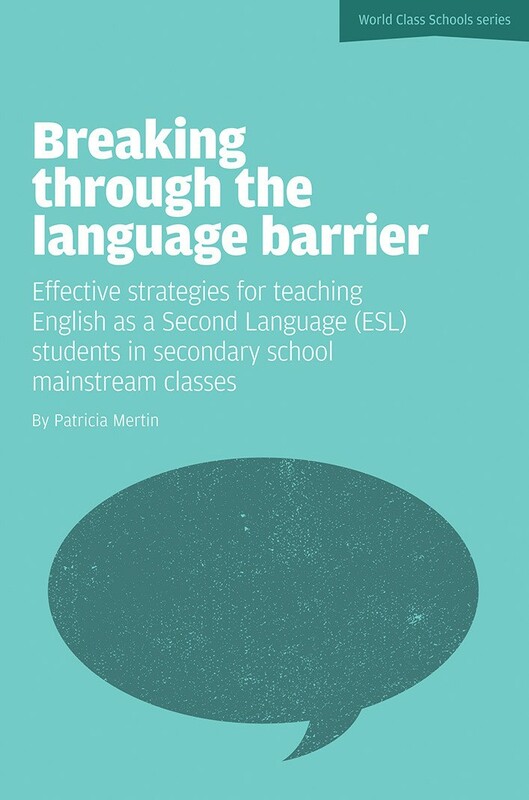 But, with ever increasing numbers of English as a Second Language (ESL) students in secondary schools, teachers need to know how to overcome common problems and teach ESL students effectively. It includes advice on using the textbook, cultural differences, realistic timescales for learning, and language and grammar that is easy to understand; plus chapters on teaching specific subjects. Patricia Mertin is Mother Tongue co-ordinator at the International School of Dusseldorf and has vast experience of teaching ESL students. "This book is a "must-have " for every secondary or high school staffroom, not only in international schools, but in any school where learners are having to tackle unfamiliar and cognitively challenging curriculum content through a second language."